WOW!! This is it!! 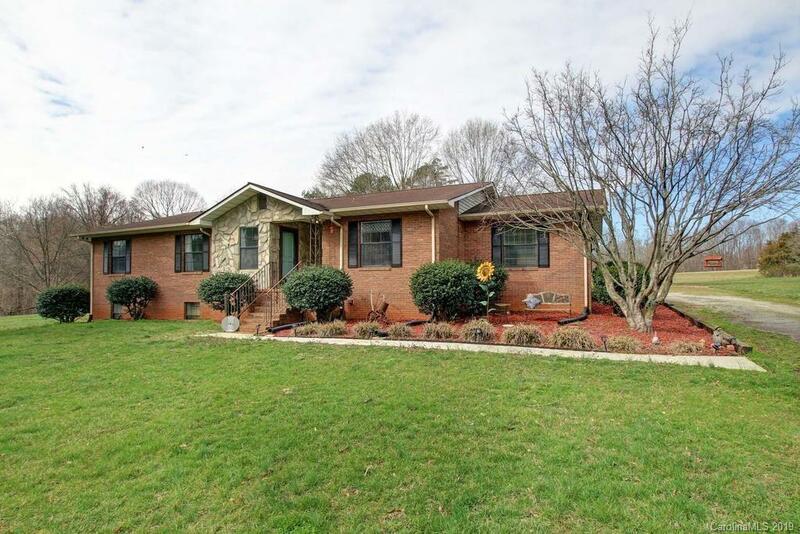 Ranch with full basement, 1,864 heated SF with 1,897 additional basement SF sitting on 4.95 acres in West Rowan area. Close to Rowan and Iredell Counties! Beautiful ranch has open kitchen/dining area, perfect for entertaining. Pantry with chalkboard door adds to it's appeal! Large living area with cozy fireplace is perfect for those winter nights. Beautiful hardwood laminate flooring. Super Master BR with remodeled master bath w/deco wooden wall and vanity w/vessel sink. Other BRs are good size and share the 2nd remodeled bath w/tile surround in shower. Basement offers incredible space for workshop - has garage door that opens to outside so could be used for parking. Beautiful country setting with rear deck and partial fencing. Come make this your new peace of serenity! Courtesy of Tmr Realty Inc.